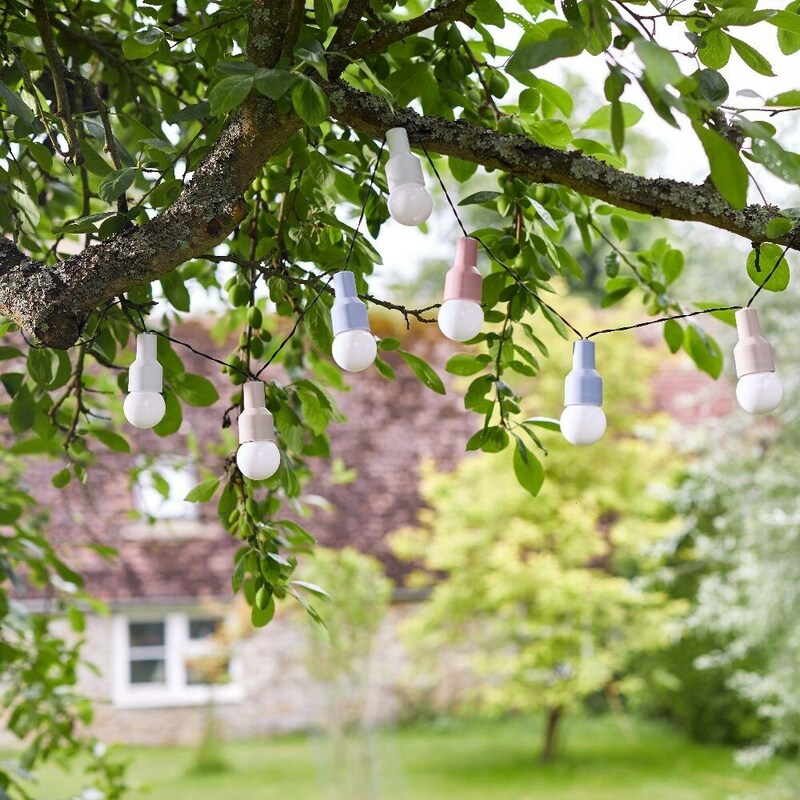 Cosy Scandi-style outdoor string lights featuring 10 warm white LED glass bulbs nestled in pastel holders. Ideal for garden decoration and entertaining. Position the solar panel in direct sunlight and the LEDs will recharge by day, turning on automatically when dusk falls.